Mount Charles, Ireland’s largest, independently owned food service and business support services provider has an exclusive franchise agreement to rollout Ireland’s leading healthy food brand, Freshly Chopped across Northern Ireland and Donegal. Marcon will complete the full fit-out of the outlet, working closely with Paul Horscroft from Horscroft Design who has designed the interior of the unit which was formerly the ground floor of the Apartment Bar in Belfast. 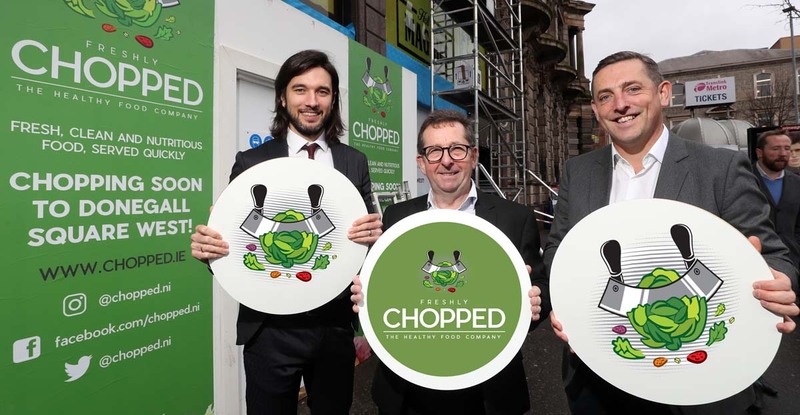 Six high-end, standalone Freshly Chopped outlets will be opened across Northern Ireland in the next three years. Freshly Chopped has undergone a rapid expansion over the past two years, more than doubling its number of employees and stores across various international locations. The new store at Donegall Square West, Belfast opens on 10th December 2018. 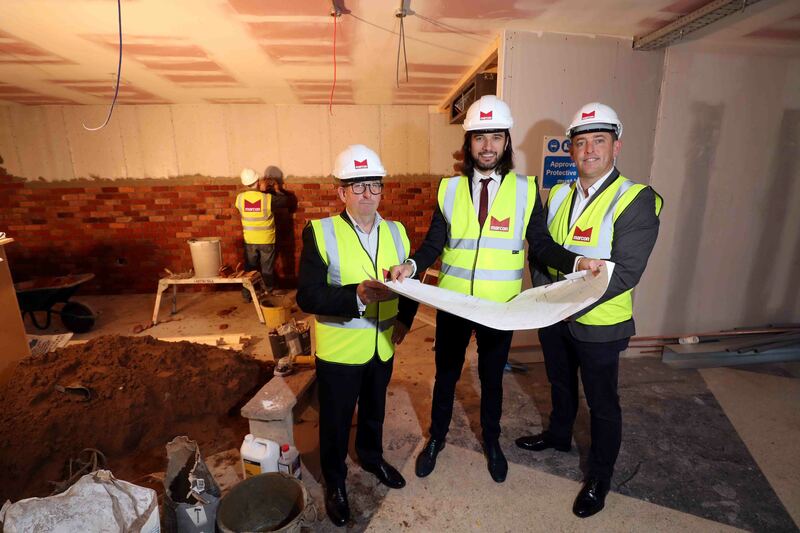 Caption Above: (l-r) Paul Horscroft, Horscroft Design; Gavin Annon, Head of Sales and Marketing, Mount Charles and Mark O’Connor, Director, Marcon Fit-Out.